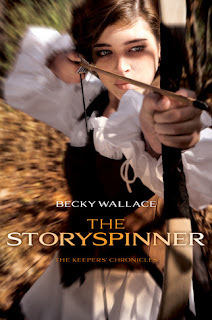 Today's author, Becky Wallace, is the author of the debut novel THE STORYSPINNER. Although it didn't get a huge amount of attention most of the bloggers I've talked to really enjoyed it so I'm excited to share the book and this interview with you because every person who picks up a book makes a difference. Check out what Becky had to stay about her novel below! Once Upon A Teen Reader: One of the main characters of this book, Johanna, spins stories, and when she does this they seem to come to life. What was the idea behind having an ability like this one take center stage? 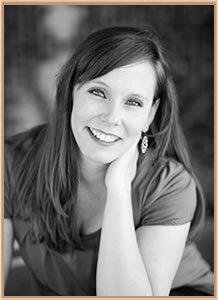 Becky Wallace: I set out to write a retelling of Sleeping Beauty, but with a wholly different lost princess than your Disney-sweet Briar Rose. I knew I wanted Johanna to maintain some of the same characteristics (orphaned, talented, raised away from her family), but I wanted to give her a greater sense of worldliness. Instead of being a girl who naively throws herself into the arms of a stranger, I needed to create a character who could protect herself in a dangerous situation. And to do that, I gave her the oral history—albeit a fictionalized version—of her land. The actually “spinning” part of her skill…well…I’d seen something like this: https://www.youtube.com/watch?v=7ZkT2wPZZJA and decided to twist that to fit my world. Which, if we’re being honest, is pretty darn cool and looks too magical to be real anyway! OUATR: On top of abilities like those there are also people who have magical affinities for elements. If you were one of those people what element do you think you would have an affinity for? BW: If I had to pick one affinity, I think I’d choose…hmm…Pira’s earth/metal affinity, I guess? I don’t think many people are going to try to stab me in the back, but that gift would make me a really safe driver! I’d never have to worry about somebody sitting in my mind blind spot! OUATR: Recently you debuted a map of the world you created for this series on your tumblr and I can't help but notice that it holds some resemblance to Africa. 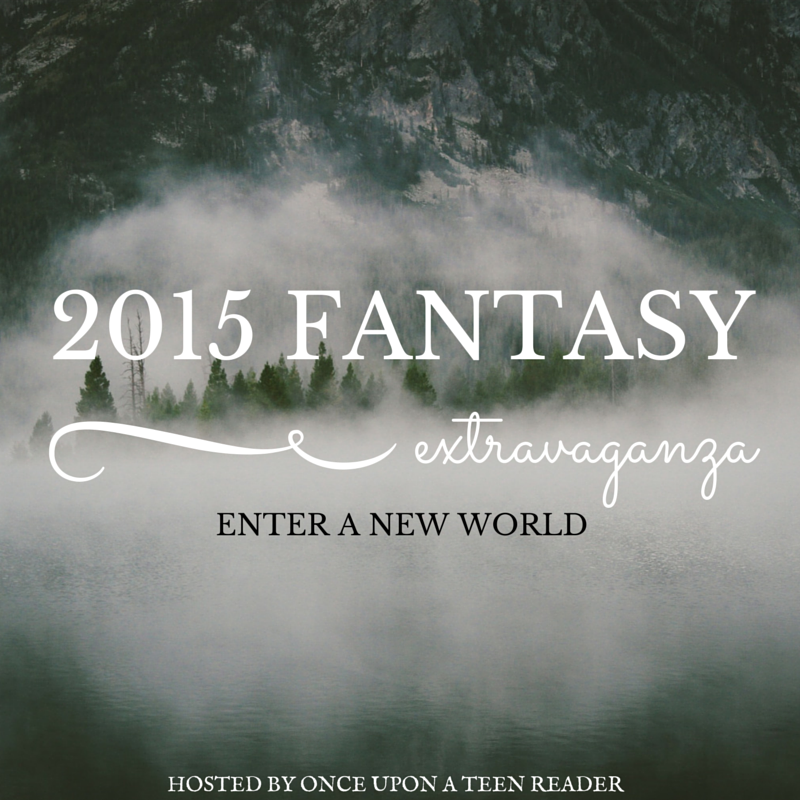 Did you have any real-world inspiration for the one you created? BW: I’m a horrible artist. But I did sketch out the world before I wrote the book. In my head, it looks like a shark’s took—broad at the top, hooking to a point at the bottom, with a deeply curving bay on the west. I gave the early sketch and that description to the artist and this is how it turned out. Some people think it looks like South America, or just Brazil, but it’s significantly smaller than any of those places. The entire country is only about 800 miles long and 450 miles wide…relatively the same size as the state of Texas. OUATR: You decided to include multiple POVs in this book. Was that always the plan from the start or did that evolve as you revised and re-wrote? Did you have a favorite POV to write from? BW: The story started with three POVs—Johanna, Rafi, and Jacaré. The additional POVs (Pira and Leao, with a couple brief drop-ins from Dom and Tex) were all added as suggestions from my editor. I love writing from Jo and Rafi’s perspectives, but I have the most fun writing from Dom! He’s so pleasantly naughty! OUATR: In your novel, unlike in many high fantasy novels I've read, you have beings that guard the magic in this world. Where did that idea come from? BW: I think that magic—like technology—is wonderful, but it’s not without its faults. At the heart of the STORYSPINNER is the idea that anything with the power to do good, can also be manipulated to do evil. And sadly, in every world, there are people who want to misuse power. It’s a theme that anyone who has ever had their email account hacked or credit card number stolen, can relate to! OUATR: For this book you created not only a new world but histories and fables for this world, what was it like creating stories within a story?? Will we see more of them in book two? BW: So many of our fables are rooted in mythology, so I used that same starting point for the world of Santarem. Once I figured out who their main deity was, and how she interacted with her followers, the stories sort of fell into place. You will definitely see more stories in book two! Some from recent history and some from long, long past. OUATR: What was it like writing a book with two parallel story lines that eventually converge? Were there any problems you encountered in doing so? BW: I always intended this story to have two storylines because I knew I wanted the reader to question the main and sub characters’ motivations. Who is the villain? Do you really know? Once I added all the additional POVs, the story lines became much trickier to manage. My biggest debate was over which POV would be the best to tell which aspect of the story, how that would move the story along, and allow the reader in each character’s head. I hope the overall story gives you a broad view of the world, and a close relationship with a lot of the people who live in it! Becky has generously donated a signed copy of her novel THE STORYSPINNER that will go to one lucky winner! You guys, is it ethical to enter your own contests, cause I really want the thing. No? Fine. The book even comes with a special book plate map that is pretty limited edition! Wow, I literally just finished reading this book. It was great! 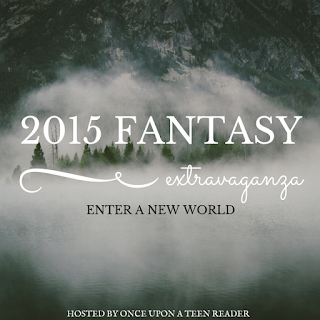 I love the inclusion of fables and mythology - it totally makes a world more realistic! There were a ton of POVs in this book! I know the editor suggested to have the extra ones, but I think the story would have been very fluid without them. :) Of course, I'm not the writer, just a reader!I adored this book, and cannot wait to read book two. I've seen incredible reviews for this book! I'm excited to read this! This book seems so interesting! Reading the synopsis I would have had no idea this book was a kind of retelling of Sleeping Beauty so it's really cool that that was brought up! Can't wait to read this! Such a unique novel, I can't wait to see what happens in the sequel. Great interview! I've wanted to read this one for a while now, but for some reason haven't gotten yet. That will, hopefully, change soon. I really want to know more about these characters and story!